The beginning of 2013 begin greatly at PIB with a new series of new product and we keep THE vintage touch that fits everywhere ! 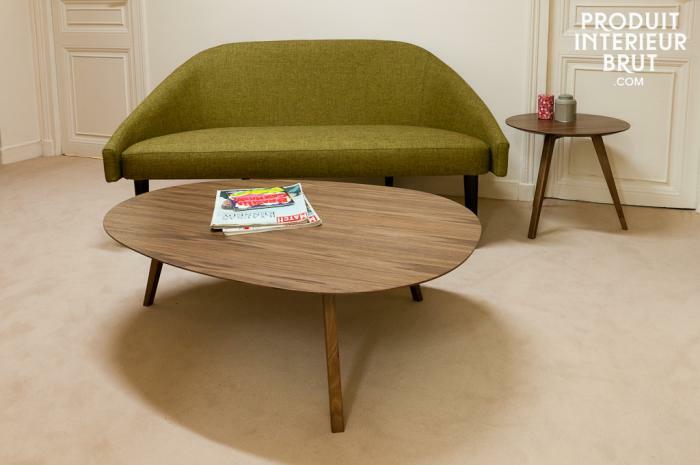 In our Scandinavian range designed with a retro touch, you will appreciate the elegance of our occasional tables, as well as the Kurva sofa, with its typical 1950s touch, meeting with this week's discount operation on all sofas and armchairs. In the industrial style, two new metallic wall storage furniture, and a neo industrial ceiling lights that combines charm and a colorful touch. The lightness of a glass table and the three-legged table vintage style. Definitely a vintage sofa, with reviewed curves. A multi-tast occasional furniture designed with Scandinavian lines. A colorful touch combined to a vintage workshop lighting style.